The Days of Johann, an agility dog! : The Toughest Race on Earth: Iditarod! The Toughest Race on Earth: Iditarod! 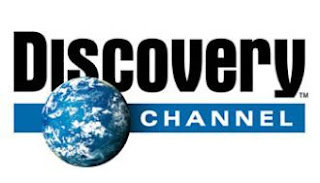 The Iditarod is just around the corner in March, but this month and part of next month the Discovery Channel is airing an entire series called, The Toughest Race on Earth: Iditarod. Seen through the eyes of the men and women who dare to take on this monumental challenge, The Toughest Race on Earth: Iditarod takes viewers on an adventure through dense forests, over mountain ranges and across frozen rivers and isolated tundra in the wilds of Alaska. Follow mushers and their sled dog teams across 1,150 miles of rugged terrain as they take on Mother Nature - and each other - in The Iditarod Trail Sled Dog Race. Toughest Race on Earth: Iditarod follows seven mushers and their dog teams; both race rookies and race legends. The grueling competition from Anchorage to Nome puts the teams through the ultimate test of human and animal teamwork and endurance. But the harsh environment and extreme concentration takes its toll on the teams, no matter how hard they trained. To drop out of the competition would be devastating for any musher who has put everything on the line for a chance to compete. To view the entire schedule of the three episodes, click here!